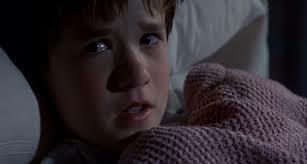 I watched the movie The Sixth Sense in theaters sixteen years ago, and while its surprise plot revelation may have since become well-worn, I still remember vividly the famous line spoken by Cole Sear (played by Haley Joel Osment) to Dr. Malcolm Crowe (Bruce Willis): “I see dead people. They don’t know they’re dead.” The twist was that Dr. Crowe eventually came to realize at the end of the film that he was one of the people to whom Cole was referring. Some good-intentioned commercial emailers have come to a similar realization—that although they’re trying to be good actors, their messaging tactics are in fact appearing to internet service providers (ISPs—such as Gmail, Yahoo!, and Comcast) as indistinguishable from common spammers. Why is it that ISPs see spammers who don’t know they’re spammers? Blame the bad actors. Thanks to the spammers, legitimate senders today face a number of challenges in reaching out to their audience via digital messaging, and it’s all too easy to get caught in the traps designed to prevent spammers from reaching the inbox. Fortunately, by adhering to several best practices, many senders have been able to turn things around and consistently reach their customers, benefitting both their customers and their bottom line. Who you send your message to. How you send your message. Properly managing the who, what, and how of digital messaging will demonstrate to receiving ISPs that you’re a legitimate emailer, not a spammer. With that goodwill, I’m confident that you’ll see a marked improvement in the deliverability and audience engagement of your transactional and marketing messages. Download my guide “Why ISPs See Spam: A Beginner’s Guide to Deliverability” today and learn the best practices that will cast your digital messaging in the best possible light—and give your email a real performance boost!